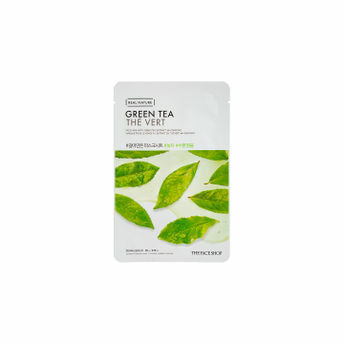 A mask sheet that is drenched in clear serum and helps calm and soothe irritated skin. Enriched with green tea extracts, the all new Real Nature Green Tea Face Mask by Face Shop is here to transform your skin! The rich extracts clear and revitalize skin that is exposed to environmental stressors and purifies it instantly. So ladies, this is a mask we absolutely swear by. Are you ready for gorgeous skin days? We think so!